Victoria Harshaw of Roeland Park, daughter of Steve and Debbie Harshaw of Holton, and Korby Anderson of Lawrence, son of Erik and Sharon Anderson of Atchison, announce their engagement and upcoming marriage. The bride-to-be is a 2012 graduate of Holton High School. She attended Kansas State University, where she received a bachelor’s degree in family studies in May 2016. She will graduate from The University of Kansas this coming May with a master’s degree in occupational therapy. The future groom is a 2012 graduate of Atchison High School. He earned a bachelor’s degree in mechanical engineering at Kansas State University, and is currently attending The University of Kansas to earn a master’s degree in business administration. He is currently employed as a machine design engineer at Hallmark in Lawrence. Grandparents of the bride-to-be are Ray and Leesa Harshaw of Holton and Freda Cashier of Holton. Great-grandmothers are Thelma Harshaw of Holton and Helen Wallace of Barnard. Grandmother of the groom is Ann Cloud of Austin, Texas. 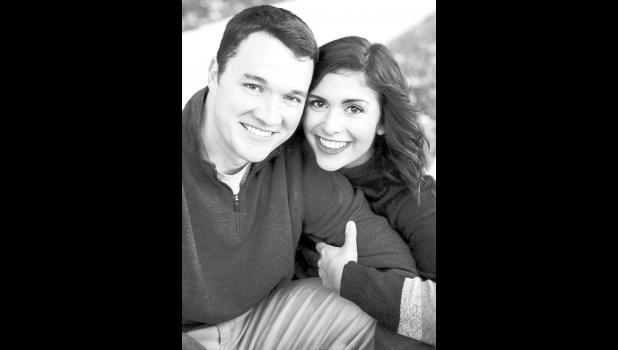 The couple will wed on Oct. 19, 2019, at Evangel United Methodist Church in Holton. A reception will follow at the Heritage Hall in Holton.